Viewed from the outside, many conservation issues cast themselves in a glaring black-and-white light - like the poaching of elephants for their tusks. Or the loss of homes for orangutans, as the Indonesian rainforests are slashed down. Elephants, orangutans, whales and dolphins - we feel a strong emotional bond with these animals - and their loss is ours. They fill our living rooms with joy and sadness, as their tales are told by the naturalist storytellers on TV. No wonder they are the 'poster children' of conservation. But what about those animals for whom our feelings aren't nudged towards compassion, but instead shoved towards fear, and even revulsion - the cold-blooded killers of the oceans, the sharks. Here, we are amongst more mottled shades of gray, especially when those fighting their corner have to come against the political correctness of the 'cultural rights' of those partial to shark on the dinner plate. That's the uncomfortable place that shark conservationists are placed when it comes to stopping the gruesome finning of sharks for shark fin soup. For a start, 'save the shark' just doesn't have the same ring as 'save the whale'. But although sharks can't count on a warm-fuzzy glow to save them from destruction, saving they most certainly do need. Sharks are a vital cog in a marine ecosystem that is already grinding to halt, after a century of battering from man. 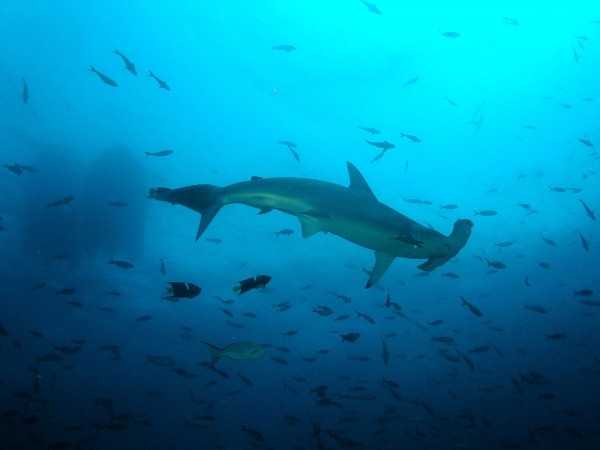 As top predators, they play a big role in helping to keep the oceans in a healthy state. But that role is being lost, as sharks increasingly find themselves on the menu, for that pinnacle of 'wildlife as status symbol' - shark fin soup. The number of sharks being slaughtered, in part to feed the growing fashion for this delicacy in China, is staggering - 100 million per year, with the numbers doubling through the 1990's. That pressure is pushing many shark species towards the abyss of extinction - there are now 39 shark species on the danger book of the IUCN's Red List. Although bycatch from fishing, as well as sport hunting, is part of the problem of declining numbers, the big change in the last couple of decades is the growing trade in shark fins. It is a trade that is as lucrative as it can be brutal. Long seen as a flashy sign of wealth, a single serving can cost $80; the fins of the more valuable species, such as hammerhead sharks, can fetch $700 for each kg of hacked of fins. And that is one of the most distressing parts of the trade - live definning. Because the fins are so valuable, and the shark meat so much less so, the hapless sharks are definned in situ, and then chucked overboard to die a slow death. That leaves space for more fins, and so the butchery continues. This is why some governments have been sufficiently pushed by shocked public opinion, to be spurred into action. Hawaii became one of the first places to ban shark finning, followed by the Bahama's more recently. 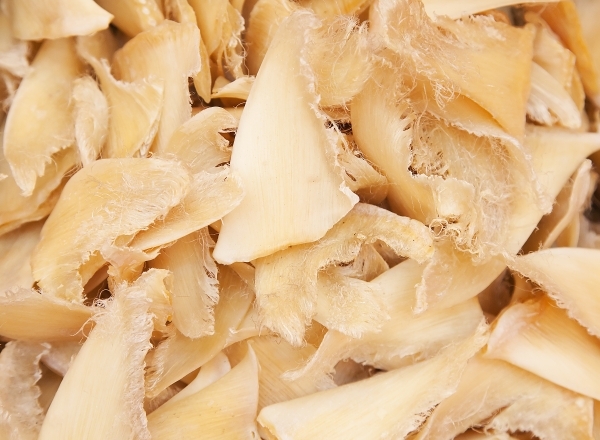 The trade in shark fins, without the carcass, is also being restricted by many other countries. But the problem is that all of this is tackling the problem in the wrong place - and could even make things worse. One of the perversities of the free market system is that the more you squeeze supply, then the steeper pries will climb. And high prices make fins even more of a status symbol. So as governments lean on legal fisheries, to cut down on the shark fin trade, so finning will become even more attractive - especially for those prepared to do so out-of-sight, out-of-mind. Sadly, with the open oceans having no effective policing, going illegal is unlikely to be a problem. As long as shark fin soup remains a sought-after symbol of wealth and status, and especially whilst the Asian economic tigers keep on roaring, the brutal and wasteful practice of finning will continue - simply underground. That's why the better place to put resources must be on demand - to make shark fin soup a repugnant and socially unacceptable choice on menu. That's already starting to happen - restaurants in New Zealand were recently named and shamed by the Australian Anti-Shark Finning Alliance, for example. 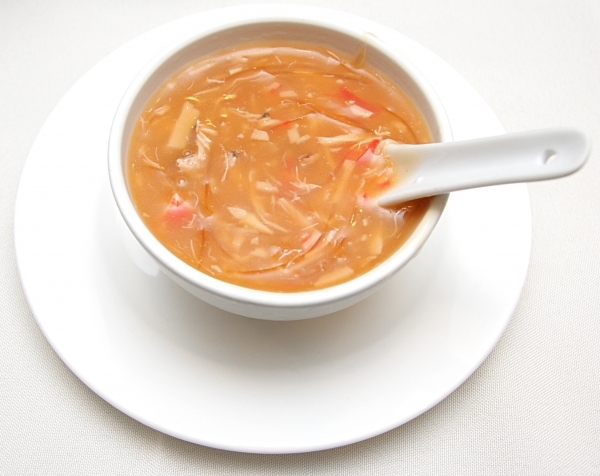 But those efforts can't come from just those outside of those communities who traditionally sup shark fin soup. That exposes the efforts of conservationists to charges of cultural chauvinism - denying the right of Chinese and Asian peoples to take part in their 'cultural heritage'. What is needed is for home-grown conservation groups in those countries and communities to step up efforts to explain why the shark fin trade is so repulsive, and destructive of the marine environment. As is so often the case with conservation, you can't keep man out of the picture. Build humankind's activities into the plan from the start, and we might still have a chance of making those shark fin mounds an abhorrent picture from the past.